Rich in both history and spectacular scenery, Armenia is a truly captivating country. Whether seeking out ancient monasteries dotted within dramatic landscapes, wandering through one of Yerevan`s impressive museums or admiring the intricate stone carvings at Noratus, you`ll find opportunities to delve into this nation`s past at every turn. Add to this the welcoming locals, superb hiking possibilities and abundant bird life, and you`ll soon discover why Armenia is worth more than just a fleeting visit. 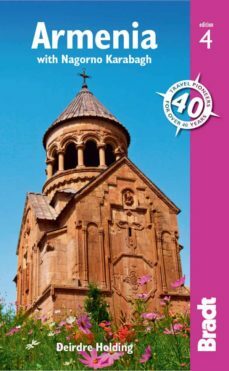 Packed with detailed background information and invaluable, fully updated, practical advice, Bradt`s Armenia remains the essential choice for anyone travelling to this beautiful country.